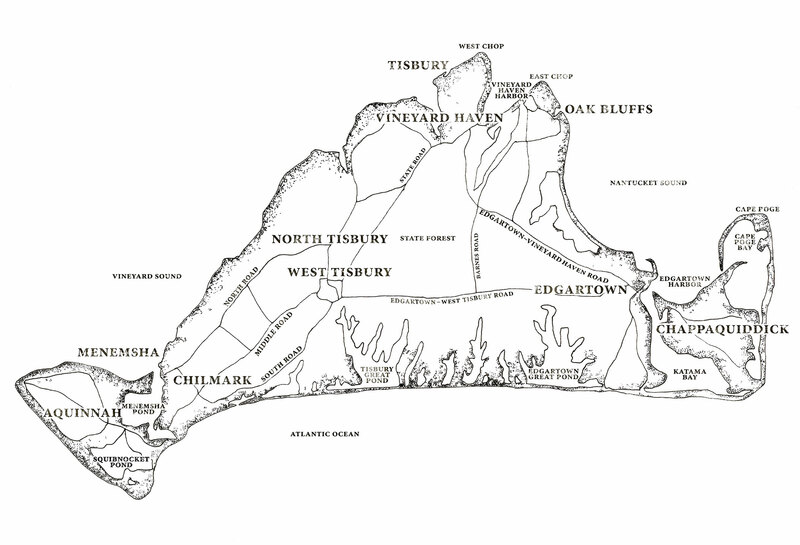 For more than 40 years, Vineyard Trust has acquired, preserved and managed endangered historical landmarks of Martha’s Vineyard and, in doing so, restored vital institutions to their rightful place in Island life. Over the years, the organization has acquired more than two dozen iconic properties, working with great diligence and perseverance, and very quiet. With new leadership and an eye to the future, the organization was poised to increase its visibility and impact and understood that to fully realize their potential, they needed to take the brand to the next level. Minelli, Inc. worked closely with Vineyard Trust leaders to understand the organization’s unique attributes, challenges, and opportunities. The deep discovery phase uncovered great respect for Vineyard Trust among those who knew the organization. Low awareness and confusion with other island organizations was widespread and addressed through a revised name, powerful new brand, a new information center and plans for new signs. The core of the Brand Idea — the power of place – came directly from the organization’s role and the incredible built and natural beauty of the island. 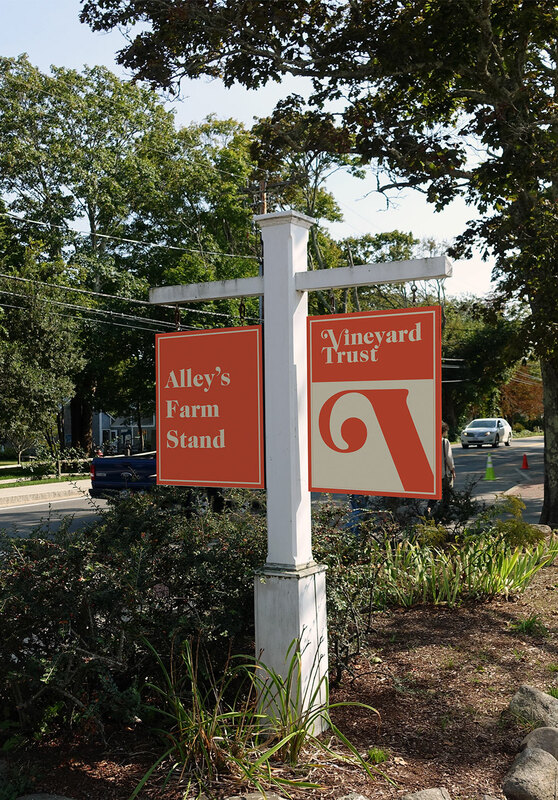 The foundation for the new mark is the shortened name, Vineyard Trust (from Martha’s Vineyard Preservation Trust). The wordmark typeface, a unique drawing of ITC Caslon 224 Black, is traditional with a modern twist. Its playful details and heavy weight reflect the unique character of the Island while the elegant serifs evoke the organization’s rich history and the island’s unique architectural details. The tagline, Landmarks for Life, communicates the mission and work of the organization and is short and memorable. 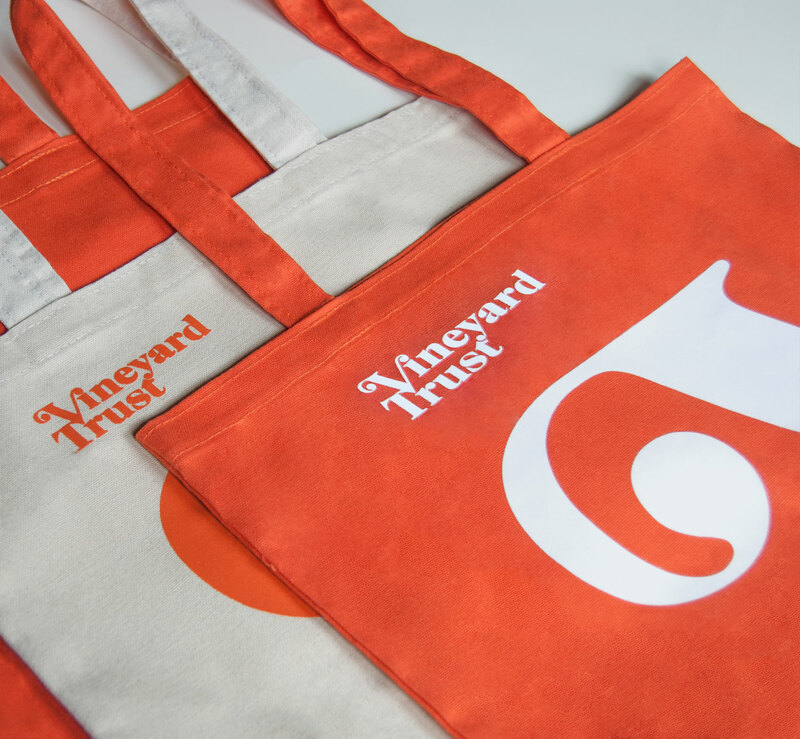 The unique graphic is derived from the customized typeface and is used as a bold, elegant mark on printed materials, signs and Vineyard Trust products. The vibrant and optimistic vermillion is unique among local and regional competition and gives the Vineyard Trust a color that they can own with confidence.